It’s that time of year again. You’ve put on a few more pounds over the festive period than you intended and pre-season training is looming large. Every GAA player has been there. Loved or loathed, though mostly loathed, it’s arguably the most important part of the season. The hard work done in pre-season will stand for the rest of the season, and hopefully it’s a winning one. But you could be going about it all wrong. 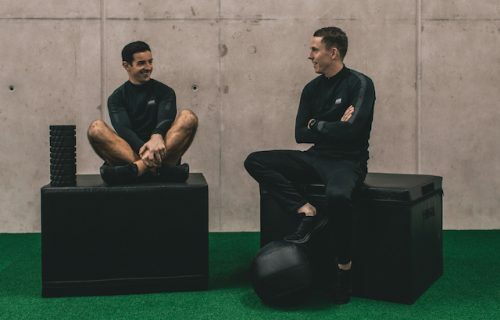 Former Kerry star Aidan O’Mahony and his cousin, Michael O’Donoghue of St Kiernan’s – the guys behind AOM Fitness – last week launched their first fitness programme, AOM Fitness; Muscle & Movement. It’s a six-week gym orientated off-season course designed to ensure you’re in the best shape for the start of pre-season. The overriding message is clear; “get strong” if you want to acquire those “winning foundations”. 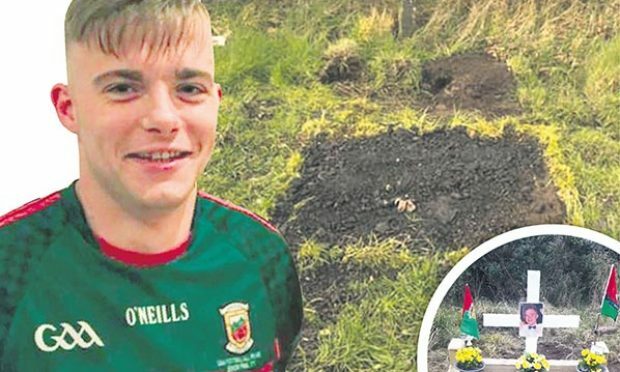 “In January, people put themselves on the weighing scales and say ‘I need to lose weight’ and start doing running,” O’Mahony, 38, told the Irish World. “I’m saying put yourself on the weighing scales in January, and then do our six-week programme. You might look at the scales in six weeks and say ‘I’ve lost no weight’, and you haven’t lost weight, but you’ll have gained muscle. You’ve turned that weight into muscle. The six-week course is made up of three hour-long sessions a week – two whole body sessions and one upper body. 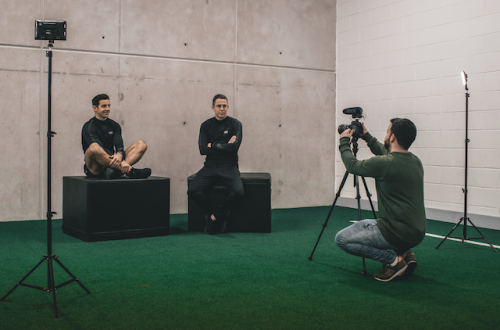 The programme features a fully detailed training plan, including effective recovery practises, nutrition and advice, backed by an exclusive support path, taking the user through day-by-day, step-by-step, ready for the season ahead. 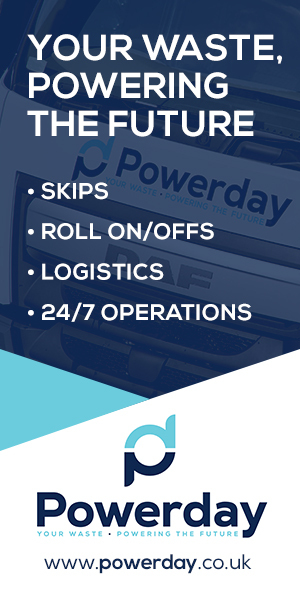 The user can also get advice and support from O’Mahony and O’Donoghue along the way. The emphasis is on building muscle, but not bulk, while increasing mobility and flexibility. The aim is not come out the other side a “gym robot”. “You have to get strong first; I know that from my own playing career,” added O’Mahony, who retired in 2017 having won five All-Irelands and two All-Stars in a glittering 14-year career with Kerry. “The minute you get back out on that pitch (for pre-season training) it’s into hard running and hard work, so you want to have the muscle put on. “Once you’ve done your work in the gym and you get back out on the pitch, it actually enables you to train better. The programme has been three years in the making. 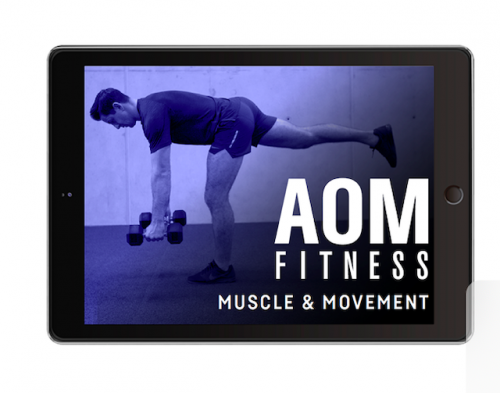 AOM Fitness launched its website in April 2018 and their free to view video content – exercises and nutritional tips and advice – have seen it build up a substantial following. The next step for O’Mahony and O’Donoghue was to launch their first fitness programme. In his third year of a Degree in Strength & Conditioning with Setanta College online Studies, O’Mahony has called upon his 14-years with Kerry to come up with Muscle & Movement. In that time, he’s seen “massive change” in attitudes towards strength and conditioning within the GAA. When he made his senior debut for Kerry in 2003, strength and conditioning “wouldn’t have been a big part of the GAA”. 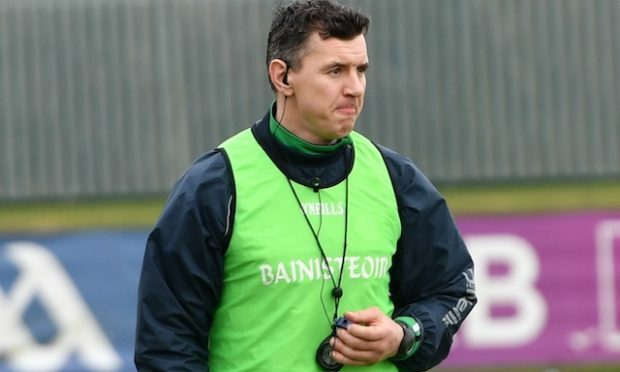 He credits Pat Flanagan’s appointment as Kerry strength and conditioning coach in 2004 as playing a big part in the success that was to follow. 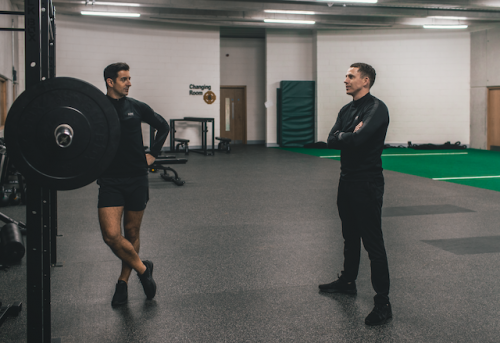 “It went from just lifting weights to movement, mobility, flexibility, activation, mobilisation – it’s totally changed over the years,” said O’Mahony. O’Mahony says he was “very light” when starting out, and says the gym work he did “brought my game on”. “For a club player, you have to look at the grassroots. Why is the club here in the first place? Who has gone before me? Why am I wearing the jersey next Sunday? 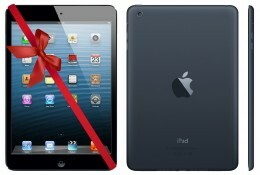 What’s in it for me?,” he said. Looking back, O’Mahony says it’s not the medals he reflects on, more the friendships he made along the journey. “While you can play it, enjoy it and get the most out of it. 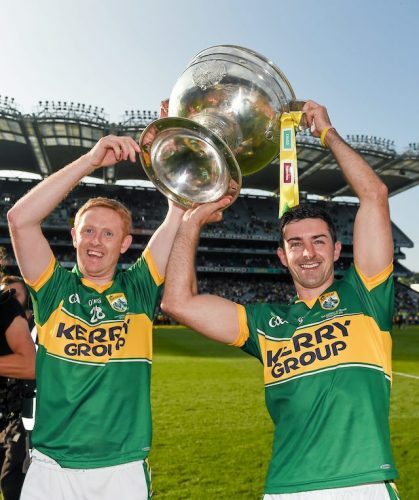 It’s about the memories – it’s not about the accomplishments or the medals,” said O’Mahony, who describes himself as a just “cog” in the wheel of that great Kerry team. Of all his All-Ireland wins, it’s the last one, in 2014, which holds a “very special” place. Given “no hope” that year, Kerry proved the doubters wrong. “You had a team of underdogs who’d been written off, and they just grew and grew as the year went on,” he recalls. Despite being part of an all-conquering Kerry team, O’Mahony admits there were times when he “fell out of love” with Gaelic football, not least when he found himself consigned to the bench during the 2009 season. Inter-county players can be selfish he says. “I can relate to players who are sitting on the bench and might not be getting game time – I have been there. Looking back on it now it made me the person I am,” he said. He came back the following year to win his fourth All-Ireland. It was a turning point; from then on he “started enjoying it” more. What was best for the team became uppermost in his mind, rather than what was best for Aidan O’Mahony. He puts it down to “getting older”. “I found myself texting players who’d be going for the same position as me, and saying ‘if you get the jersey before me then great’, because it’s for the better of the team,” he said. Having been part of such a successful Kerry team, O’Mahony has a healthy respect for Dublin. 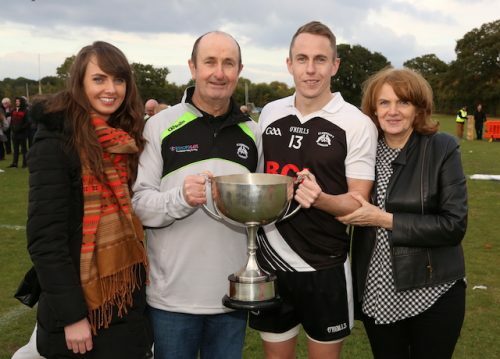 He expects them to make a “massive push” this year for the five in a row – something only previously achieved by the Kerry minors, he’s keen to point out. “So we’ve one thing over them!,” he says. “The level of intensity Dublin bring to their game is just above all teams at the moment. They have a system where a young lad comes in and says to himself ‘I can take your jersey’. 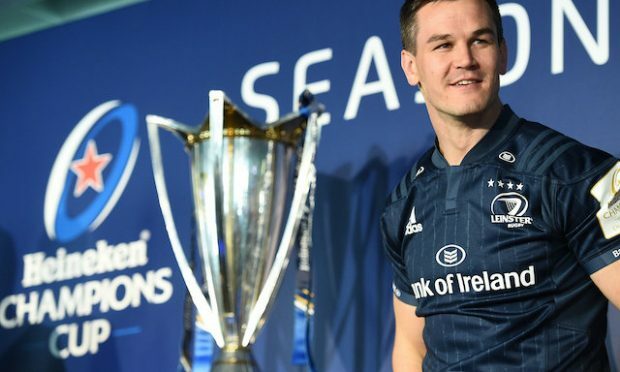 Who might emerge from the pack, though, is the exciting thing for O’Mahony, and he’s not ruling out a challenge from Kerry. “That’s the beauty of this year. You’re looking to see what team can come up, or will come near them in the league,” he said. The programme costs 59 Euro + VAT and can be purchased via www.aomfitness1.com and is downloadable to your smart phone or tablet.